We launched our NYE EDM Event Guide a few weeks ago, giving you a comprehensive list of all the EDM events happening in the region and beyond this New Year’s Eve weekend. Lucky for you, Christmas has come early! We’re giving you a chance to WIN TICKETS to several of those events. Check out the links below to enter for your chance to win. All contests end Sun., Dec. 23 at 11:59 p.m. and we’ll notify the winners via email on Mon., Dec 24. Remember to share the linked post on Facebook to gain an extra entry. 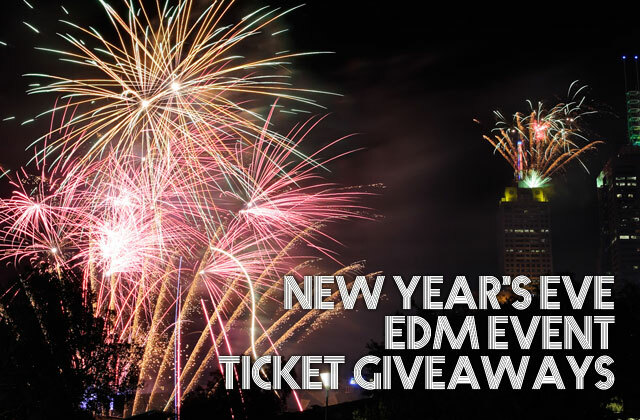 Be on the lookout for more contests and don’t forget to share our NYE EDM Event Guide with your friends!